Dr. Susan Fay earned her Ph.D. in health and research psychology in 2015 after spending more than 25 years training horses and showing at an elite level. Susan and her clients have achieved local, regional, national, and world championships in breed and open shows. She is a certified hypnotherapist and has extensive experience with the use of guided imagery for performance enhancement. 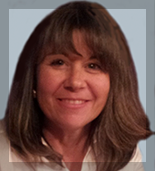 Susan works with youth and adult athletes in all sports, but specializes in equestrians. She understands the unique challenges faced by equestrians and can help both horse and rider achieve a higher level of performance, satisfaction, and fun in their chosen discipline. Susan lives near Colorado Springs and spends her free time enjoying the outdoors and riding in the mountains. She provides services in-person, at the barn, and globally via SKYPE.